I've always enjoyed sharing my development experiences, and develop a lot of projects on the side - some paid, some for the community, and some just for fun. Being part of an internal Microsoft testing group for what was to become the Skype Web SDK over a year ago, it became obvious that this SDK had the potential to really shine - particularly by dramatically simplifying the development efforts the community had gone to in building Lync (and now Skype for Business) apps. In fact, I built an time framework, Lync Agent, to try to simplify things. And so, the best option is to create Plurlasight course to help people learn about the new Skype Web SDK! Pluralsight is a leading online provider of tech and creative training for professionals. They have an amazing online catalogue of online courses for every possible IT and technology topic you can think of, including soon the SDK. 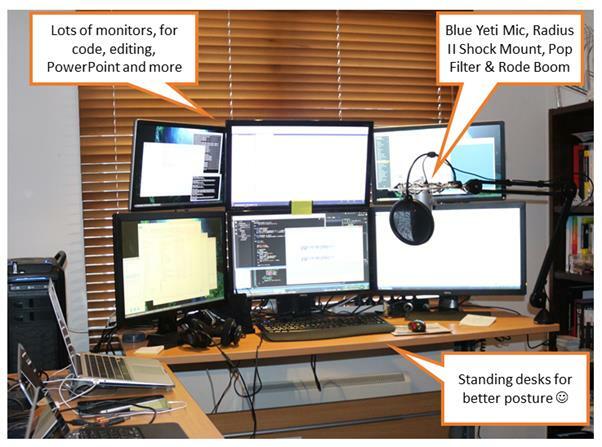 But it's not as simple as whacking together a few Powerpoint slides and recording some voice overs. I wish. 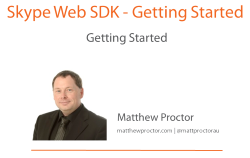 I've published a new course, Skype Web SDK - Getting Started – a comprehensive video tutorial taking you through the steps to build your first skype-enabled application or web site. Becoming a Pluralsight author is a relatively straightforward process, although there a number of steps and hurdles to overcome, all focused around presentation and audio quality. As I’m building courses in my spare time (what little of that there is), the process for me took around 3 months from initial audition until final acceptance. Once you have applied or invited to be an author, you need to submit an audition – demonstrating your ability to create, present and deliver course content. This needs to follow their guidelines, and be delivered in a fashion that is clear to students. If you pass the audition, it’s time to submit your course proposals. Clearly, there’s little point creating a course that is already available, so course proposals need to be unique in one way or another. Since the Skype Web SDK hadn't actually been released when I submitted my proposal, I had a fairly good chance that it would be unique. Finally, once a proposal has been accepted, it’s time to create a production-quality sample – to test that you know how to use the appropriate tools, and most importantly that your audio quality is high enough to pass their strict guidelines. I found this to be the most difficult, as what sounds good to you (especially after re-re-re-recording the same audio dozens of times) may not sound good to others. But once you have your audio equipment configured correctly, and have worked out the best method for you as an individual to record at the highest quality, it’s much easier from there on. Once your sample has been approved, it’s time to start building the course! Lots of other bloggers have written about how they’ve built their courses (for both Pluralsight and other platforms), so I’ll skip that, and instead look at the hardware and software I used. My mission was to create a home-studio environment with as near-to-studio quality audio as I could, on a very limited budget. I’ve used open source software where I could. The end result is a home development and recording studio that meets the requirements I had, but is entirely functional and flexible. 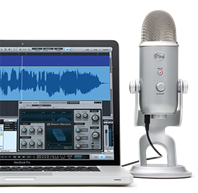 The Yeti is a USB-connected 3-condensor microphone that provides a great deal of flexibility (in terms of audio patterns it can be configured for) and a solid sampling rate of 16-bit/48kHz, which is perfect for recording my courses, podcasts and even normal daily conferencing use. 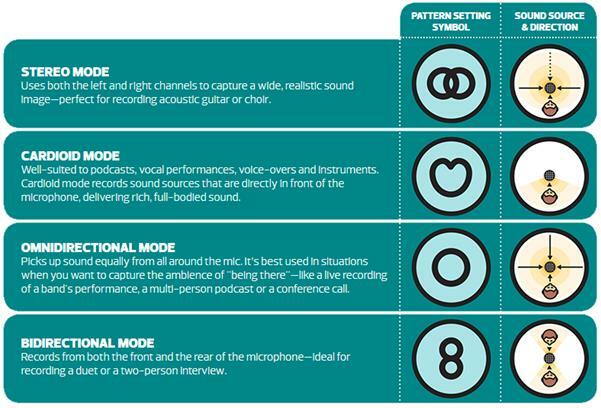 One of its best features are the selectable recording modes – you can configure the microphone for the scenarios you need. The downside of the Yeti is that it is really, really sensitive. After using it with the default desk stand, I decided I needed a more professional setup. Radius II is a vintage-style suspension mount designed to isolate microphones from noise, shock and ambient vibration. Tt uses rubber strings to isolate the inner mount from the outer mount, meaning the microphone is effectively hanging in mid-air. Without this, the microphone was picking up the vibration from my keyboard and other desk movements, with it, it’s a silent as a bee. I looked at a number of different microphone booms, and chose the Rode as it is both sturdy, strong enough to hold the heavy Blue Yeti microphone, and was desk-mounted. 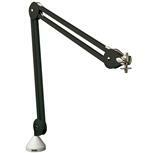 I use a stand-up desk in both the raised and lowered positions (depending on my mood), so a floor-mounted boom would need to be adjusted constantly. With the PSA1, it’s attached to my desk, so moves up and down with my desk, and swings away to the side when not in use. I also invested in a lightweight pop filter – these serve to reduce or eliminate 'popping' sounds caused by the mechanical impact of fast moving air on the microphone during recorded speech and singing. To my non-technical ear, it softens the audio slightly, and reduces sharp clipping. 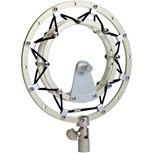 I bought my pop filter from Allans Billy Hyde. 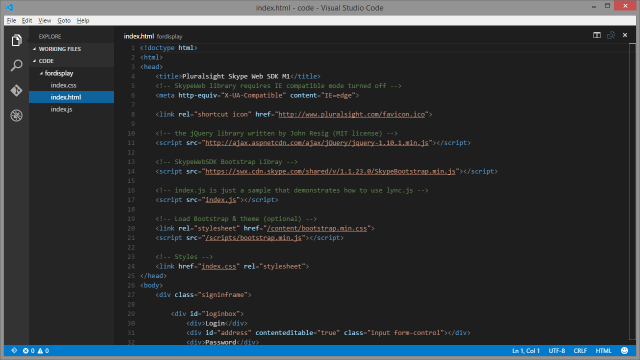 From the code.visualstudio.com web site, Visual Studio Code provides developers with a new choice of developer tool that combines the simplicity and streamlined experience of a code editor with the best of what developers need for their core code-edit-debug cycle. Visual Studio Code is the first code editor, and first cross-platform development tool – supporting OS X, Linux, and Windows – in the Visual Studio family. Whilst I've developed and tested all of my code samples and applications in Visual Studio 2015, it's a very heavyweight development environment, and takes a lot of effort to trim it down for presenting code. VSCode, on the other hand, has such a simple and clean interface, is perfect. It's visually representative of Visual Studio, and yet clean enough not to be distracting to those who care just about the code. And when you're running it across four (or more) monitors as I am, it's a pain in the proverbial to scale it down to 1280x720 and back up again all the time. With VS Code, I don't have to anymore! Oh, and it's free, and runs on Windows, Mac OS and Linux too. Pretty cool. Audacity is a free, open-source and cross platform (Windows, Mac, Linux) audio recording and editing tool. Whilst I could record within Camtasia, I find the capabilities and flexibility of Audacity to be far superior. Audacity has a fantastic noise reduction algorithm that works wonders in reducing background noise. Camtasia gives you the tools you need to record on-screen activity, edit and enhance your content, and produce high-resolution video files easily. Once I’ve created my PointPoint presentation, and recorded my audio tracks, I use Camtasia to line them both up, creating a slick (hopefully!) tutorial. Camtasia also has a selection of ‘call-outs’, for highlighting parts of slides and drawing attention to important sections. I can’t remember where I heard about Auphonic’s tools, probably from Carl & Richard on Dot Net Rocks, but when you have a bunch of individual audio recordings, you often find the volume varies between them if you’re not paying attention. Which is often my problem. 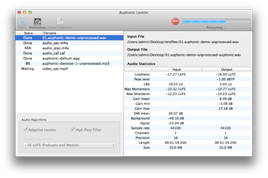 Leveler is a simple tool that takes in audio files (MP3, WAV, etc. ), calculates the average volume/loudness of the tracks, and lets you adjust them all in a batch to be at the same level. It’s a commercial product, but not at all expensive, and definitely worth the investment. Learn more on their web site. Up until just a few days ago, I was using Snipping Tool (built into Windows) to take small screenshots and capture static content for my slides. 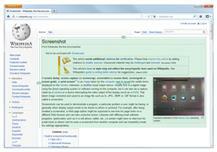 It works well, but doesn’t automatically grab entire windows (such as browsers) at specific resolutions. And then I stumbled across Greenshot, a free and open-source screen capture tool, which seems to have all the functionality of commercial tools such as Snagit (by the people that make Camtasia above). It’s a tiny download, and feature packed for such a small application. Check it out at getgreenshot.org, and if you use it, do the right thing and support these guys. Did you know that PowerPoint is more than 25 years old! No, I didn’t either, but half the business world still use it on an almost daily basis! Pluralsight provide authors with a slide template (in both PowerPoint and Keynote format) to ensure consistency of look+feel across the entire range of courses, and it looks great. If you’re one of the rare folk who hasn’t heard of PowerPoint (do such folk exist? ), check it out here.